Scanned from my postcard set. 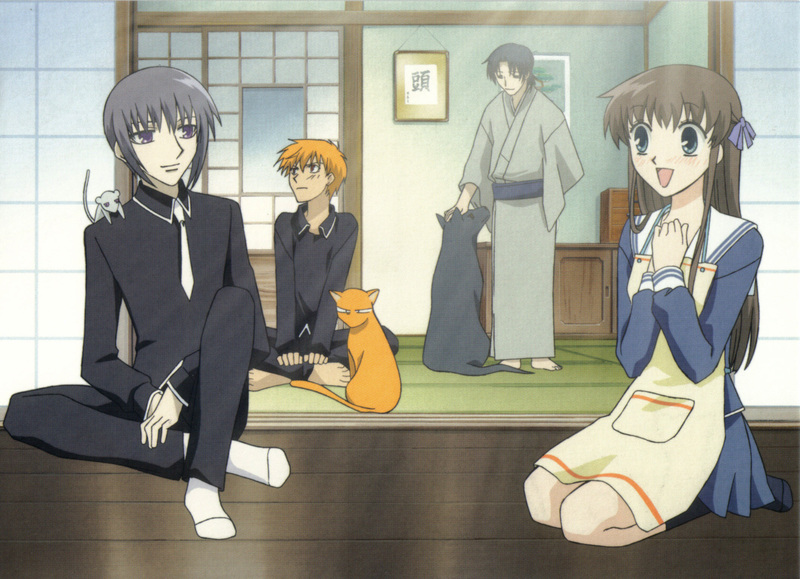 I love how Tohru's off in the front staring in completely the wrong direction. Lol, the cat's look! hilarious!